We are a locally owned/operated damage restoration company serving Boulder County, Denver and the surrounding areas since 2005. Our uniformed, certified and friendly personnel will respond quickly in the unfortunate event of water and sewer backup, as well as smoke and fire damage. 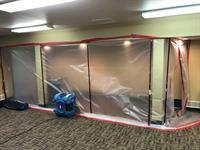 Other services include Mold Remediation and Asbestos Abatement.. We offer Complete Reconstruction Services, also. Eco-Friendly, biodegradable cleaning products and techniques used. We provide our customers with superior, rapid response service and the most courteous, conscientious and professional technicians in the industry.